Haley is in her last semester of the Registered Massage Therapy program at the West Coast College of Massage and is excited to be providing Wellness Massages at Calm as she completes her studies. 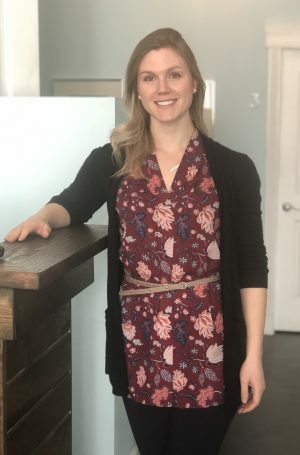 While she is able to accommodate those looking for generalized wellness care, Haley’s true passion is using her skills to provide support for those interested in achieving specific health goals. An example of this is working with individuals who live with symptoms of anxiety and depression. Having had personal experience in dealing with these stressors, Haley has found massage to be a valuable tool in managing her own mental health as it has allowed her to build resilience against these challenges and reduce burn-out. She hopes to pass those learned skills onto those she works with. Another example comes from her experience in being a member of the UVic rowing team several years ago. For Haley, this was a very intense training regimen that required more physical and mental activity than she was accustomed to. Part of her success in maintaining her well being while reaching her athletic goals was influenced by health professionals such as massage therapists and physiotherapists. These health coaches taught her and the team how to use self care as an integral part of achieving goals–big and small. This had a significant impact on Haley’s desire to assist others in working towards their health endeavours. When Haley isn’t studying or at work, she enjoys walking the many trails in the Greater Victoria area followed by a good cup of coffee. Click here to book an appointment with her.